للمسافرين الذين يرغبون أن يعيشو كل ما تقدمه طريق المحيط العظيم - خليج أبولو, منتجع سي فاريرز جيت أواي هو الخيار الأمثل. يمكن من هنا للضيوف الاستمتاع بسهولة الوصول إلى كل ما تقدمه هذه المدينة النابضة بالحياة. يشكل هذا الفندق ملاذاَ مريحاً للاسترخاء ويمنح زواره فرصة للاستجمام والتجدد، وهو يقع على بعد خطوات من المعالم السياحية الكثيرة للمدينة كمثل: Marriner's Lookout. إن منتجع سي فاريرز جيت أواي حريص على توفير الراحة للنزلاء، فلا يوفر الموظفون جهداً في تقديم أفضل الخدمات وضمان حسن الاستقبال. تتضمن الميزات الرئيسية في هذا الفندق: واي فاي مجاني في جميع الغرف, تخزين الأمتعة, واي فاي في المناطق العامة, صف السيارات, مرافق للشواء. تنعكس أجواء منتجع سي فاريرز جيت أواي في غرف الضيوف.تلفزيون بشاشة مسطحة, قهوة فورية مجانية, شاي مجاني, بياضات, مرآة هي بعض الميزات الموجود في العديد من الغرف. إن مسار جولف - ضمن 3 كم, صيد السمك, تدليك, حديقة, رياضات مائية (غير آلية) هو المكان الأمثل في الفندق للاسترخاء وتفريغ طاقتك بعد نهار طويل. إن منتجع سي فاريرز جيت أواي هو خيار ذكي بالنسبة للمسافرين إلى طريق المحيط العظيم - خليج أبولو، بما يوفره من إقامة هادئة ومرحة. It is a nice and relaxing place to stay though. But somehow, with the money you had paid, you don't get a full in house facilities. Don't have washing machine and clothes dryer. Wifi not working as well. Room came with double beds and twins beds in other room. Kictchen is equipped. Looks new, the hotel. The views are breathaking. Got the top logde, had to drive a bit higher, but the views are amazing. Everything was clean. At the back of our hotel, there are green hills with goats roaming around. Will definitely come back! 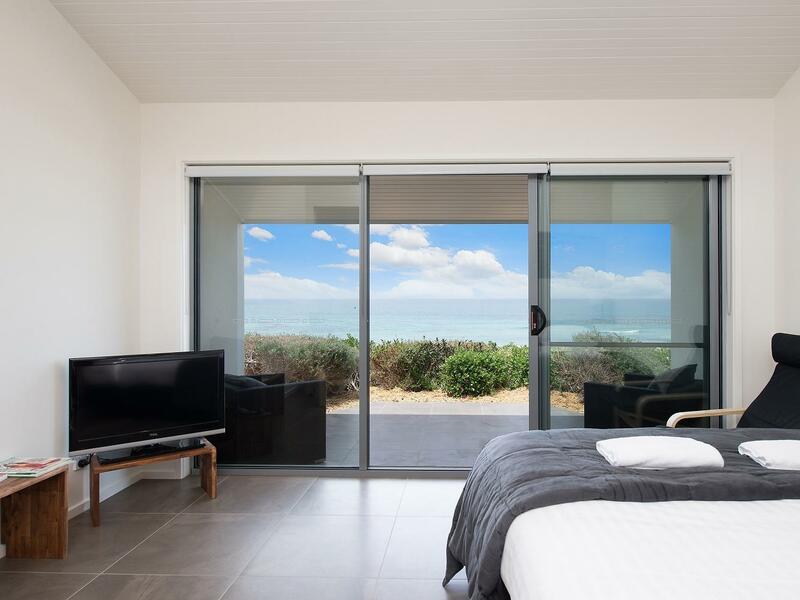 The room was one of the pricier options and accomodation choice for my family's Great Ocean road tour. Upon stepping into the room, we immediately felt that the money was well paid for as the view is simply amazing. The kitchen is also well equipped and we were able to cook dinner and breakfast. Love the place and would definitely recommend the stay! Very nice stay for 2 nights. Just outside of Apollo bay with a direct view over the beach. The property is very new, clean and spacious. A very nice place to stay in Apollo Bay...in fact one of the Top 3 for sure. 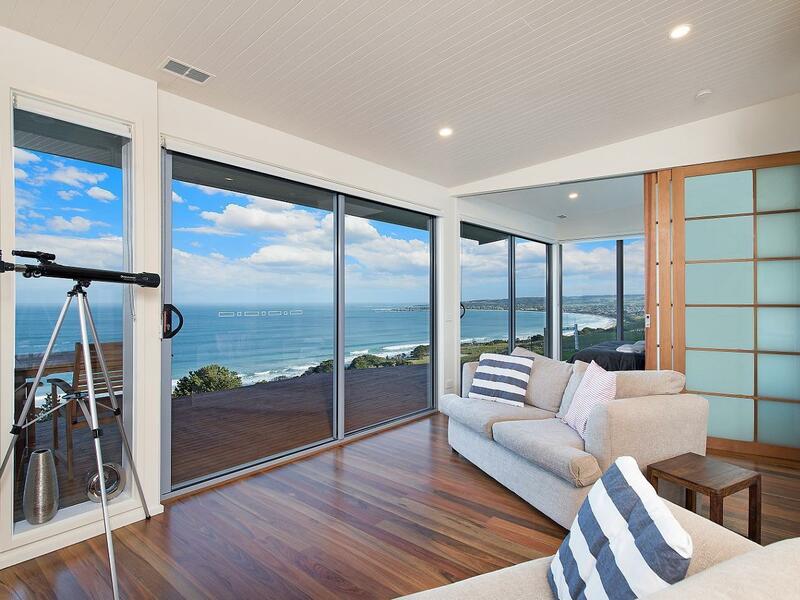 The superb ocean view. Shower with a view. Comfortable beds. This place is just amazing. 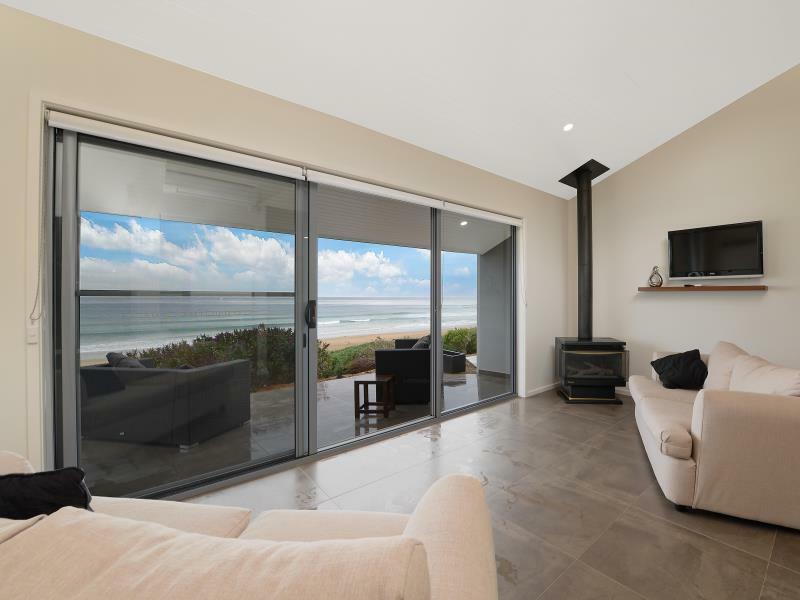 The living room is facing the ocean, the bed is facing the ocean, even the shower has ocean view! It's just minutes away from Apollo bay where restaurants, cafes & supermarkets can be found. We had the most pleasant stay here in seafarer among all the other places we stayed in Melbourne. Excellent view of the ocean, far from the main road and the staff was just very friendly and approachable. Location is also pretty awesome with just a few minutes drive to the restaurants and shops in town. Anyone driving through the ocean road should stay at least one night at this beautiful resort! The resort was very near town, which was about 10 minutes drive. We checked in just after lunch and it was easy to just drive in and park next to your room. The room was clean with plenty of amenities such as water heater and stove. 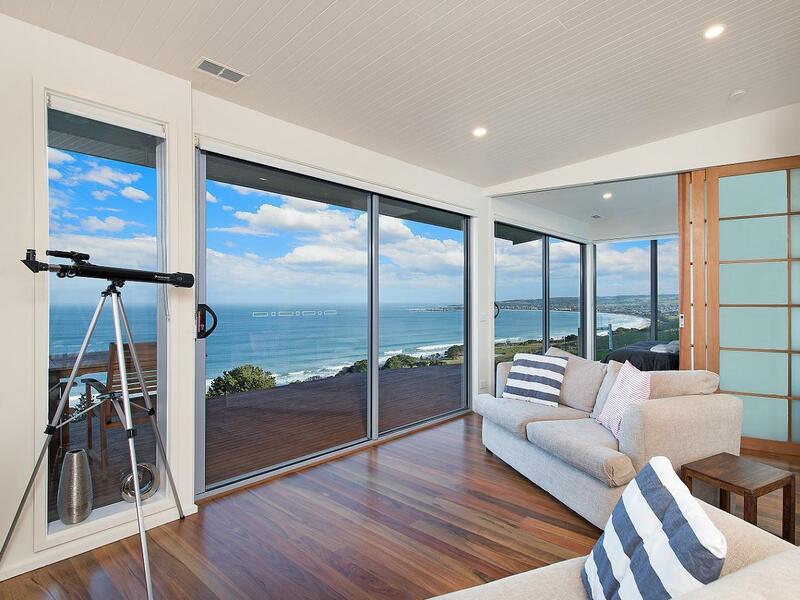 It's rather near the main attractions at Apollo Bay too, so don't miss out on booking this place! It was a very nice stay: - spectacular view over the great ocean - all window sea facing and spacious balcony, we saw a couple of rabbits and beautiful birds around in the morning - peaceful atmosphere with sound of sea waves, starry night and sunrise rising from the ocean - well-equipped kitchen - nice shower area - little pond where you can see swimming ducks - great value with the affordable price We wanted to spend one more night but the bookings were so full. Early booking is highly recommended. The hotel room is really really cute. We opened the door and we could just smell the ocean right in front of us. Since we visited during the winter (August), they also provided electric blankets in both rooms, which was quite nice for a cold night. Wish we could spend one more day to experience the view during day time. We arrived when it's already dark and had to leave early the next day. The lady, whom we guessed was the owner, was really helpful in giving information where to go and what to see the next day. Overall, it was a lovely experience at Seafarers and Apollo Bay after a long drive on the Great Ocean Road. Awesome view in awesome place. Pros: amazing views and a gas fire. Clean and tidy cosy place for a nights accomodation along the way. Cons: windy night makes for a very noisy night sounds like your sleeping in a tent. Windows need double glazing. For the price I was hoping for a good nights sleep but unfortunately not. Breathtaking views, even though it was a little difficult to find initially. Enjoyed the ocean view right from the balcony. Not many food options in the nearby town so the well-equipped kitchenette was useful. The view was absolutely wonderful. Lodge was well-maintained, clean and well-equipped. We loved the place so much that we decided to eat in so that we could enjoy it as much as we could. Fairly smooth check-in and out process. No facilities but there were some sheep and alpacas which my 3yo boy enjoyed. Will definitely recommend this resort! This hotel comes with several different views, we chose the beach one. The view is great: looking directly into the beach & ocean, with the sound of waves in the background at night. The room is clean & comfortable, with everything you pretty much need. WIFI can be improved though: while the speed is not bad once connected, it sometimes takes a long while to connect (no matter which device I used), up to 20 minutes or so. The staff are friendly. There are also some cute alpacas in the hotel compound as well. You'll need a car to get to this place. Overall a good hotel to stay along Great Ocean Road. The unit we stay is on top of the hill and it has a breathtaking view. The property is very clean and well-maintain with full kitchen facilities. Can wake up early in the morning and enjoy a cup of coffee at the balcony seeing the sunrise. Strongly recommend.